Suspect reveals how they pose as sim registration agents to transfer money from people’s phones. 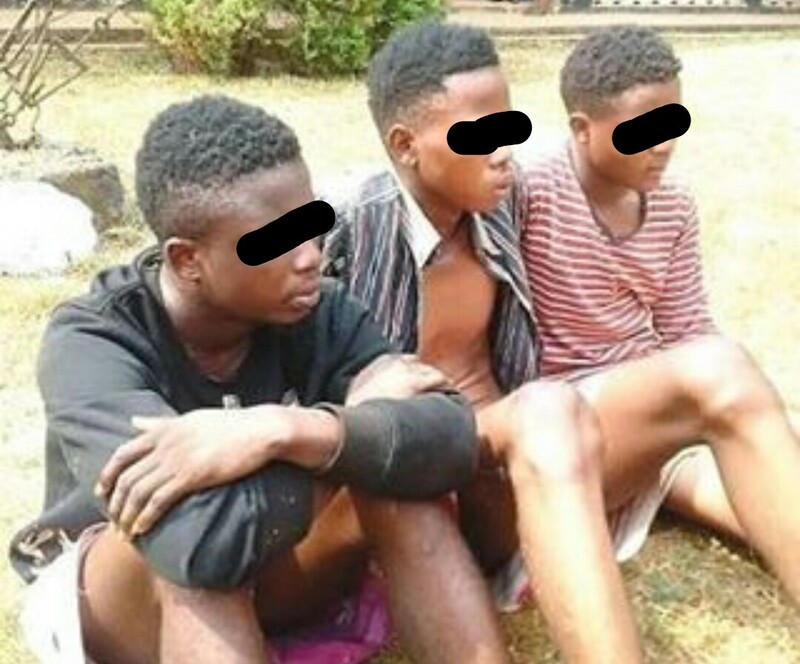 David Lucky, Louis Ogidamen and Theophilus Oko were recently arrested by the operatives of Edo State Police Command. Lucky, 19, opened up on how they transferred money from their victims’ accounts to their own accounts, using their victims’ phones. They had posed as registration agents for a telecoms company. It was learnt that they offered to register the SIM cards of their victims. They were also alleged to have offered to assist their victims to enable financial transactions on their mobile phones and in the process, transferred money from the victims’ accounts to their own account. Lucky said that the sum N210, 000 was transferred from the accounts of three of their victims on the eve of the New Year through the code of a popular commercial bank. He said, “We used to work for a telecoms company. When we see people with big phones, we told them that they could watch satellite TV stations on their phones. We also offered to help them with their subscription. Through that process, we also transferred money from people’s accounts. We transferred N100, 000 each from the accounts of two individuals and N10, 000 from another account.” He said one of their victims alerted the police when she discovered a deduction in her account and raised the alarm.